We are pleased to announce that COBA Europe will once again be exhibiting at SAWO 2018 next month from the 24th to the 26th of April at Międzynarodowe Targi Poznańskie, Poland. We last visited SAWO, The International Fair of Work Protection, back in 2014 when we were expanding into the Polish safety market. Recently, our Poland team have celebrated their 6-month anniversary in their new offices in Krakow, Poland and we are revisiting SAWO with a number of our products. We will be showcasing a wide range of products with a focus on floor safety. Floor safety is an important factor to be taken in to consideration when it comes to work environments. It’s important to get the right matting for your environment to ensure the health and safety of both your employees and your visitors. Our Orthomat® range, matting designed to combat the effects of fatigue caused by prolonged standing, will be showcased at SAWO. Within the range, we offer matting for almost any type of environment. 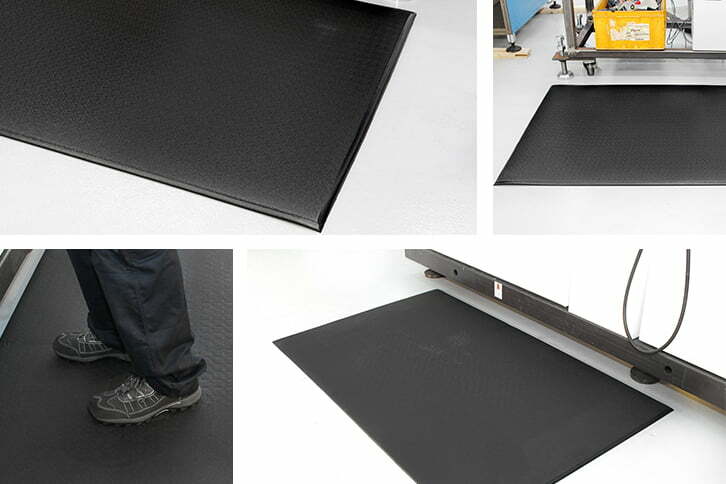 From the Orthomat® Lite which is ideal for light to medium use, to the Orthomat® Premium which is the ultimate matting for demanding locations with heavy footfall. It’s not just about anti-fatigue matting. Our COBAGRiP® range will also be making an appearance at SAWO. COBAGRiP® is our range of UV stabilised GRP sheets, treads and stair nosing, suitable for both internal and external floor covering, making it the ideal choice for environments prone to slip hazards. Quickly search through more than 100 matting solutions based on the specific requirements of yours, or your customer’s workplace. We will also be providing demos of our first interactive mobile app ‘Mats in Mind’, a user-friendly sales support tool for distributors to have available on their mobile devices. The app features a 3D ‘facility explorer’ which takes the user through a variety of different environments, from an office to a canteen, as well as a factory area and highlights the best matting products for each type of environment. 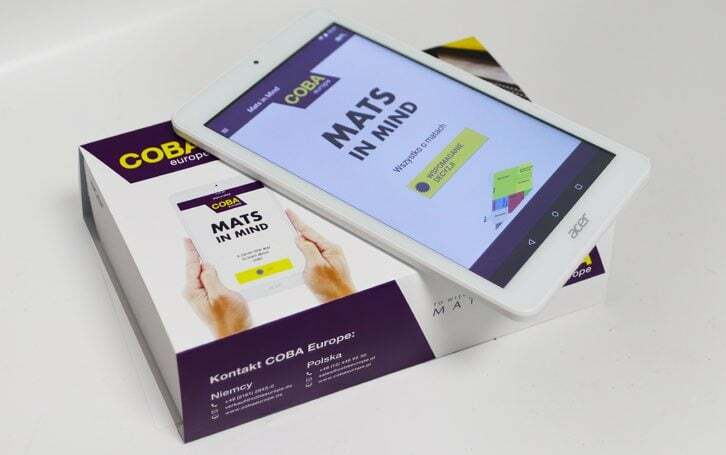 The app also features COBA’s extensive list of matting products, as well as a decision tree, enabling the user to find the perfect matting for their environment in matter of seconds. SAWO takes place from the 24th to the 26th of April in Poznań, Poland. If you’re visiting please feel free to visit Stand 25 (Pavilion 3) for a chat and to take a look at our products. At our stand, we’ll also be hosting a giveaway which visitors can enter for a chance of winning an Acer Iconia One 8 tablet. We have three of these tablets up for grabs so be sure to visit our stand for a chance to win! If you haven’t already, there’s still time to register for tickets for SAWO 2018 here.